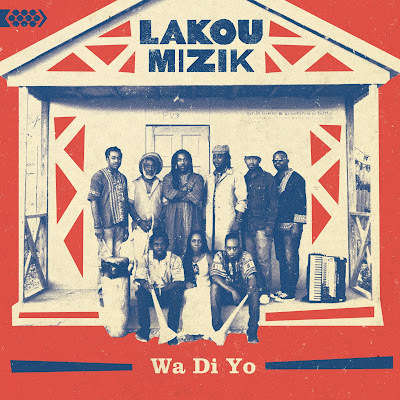 Here’s the first album from Lakou Mizik, a new nine-piece multi-generational, multi-idiom band from Haiti. Between them, its members cover most all of the popular Haitian styles: you can hear a little bit or a lot of twoubadou, mini-jazz, konpa, mizik rasin, vodou, rara, basically all the genres that make Haitian music so unique and remarkable. 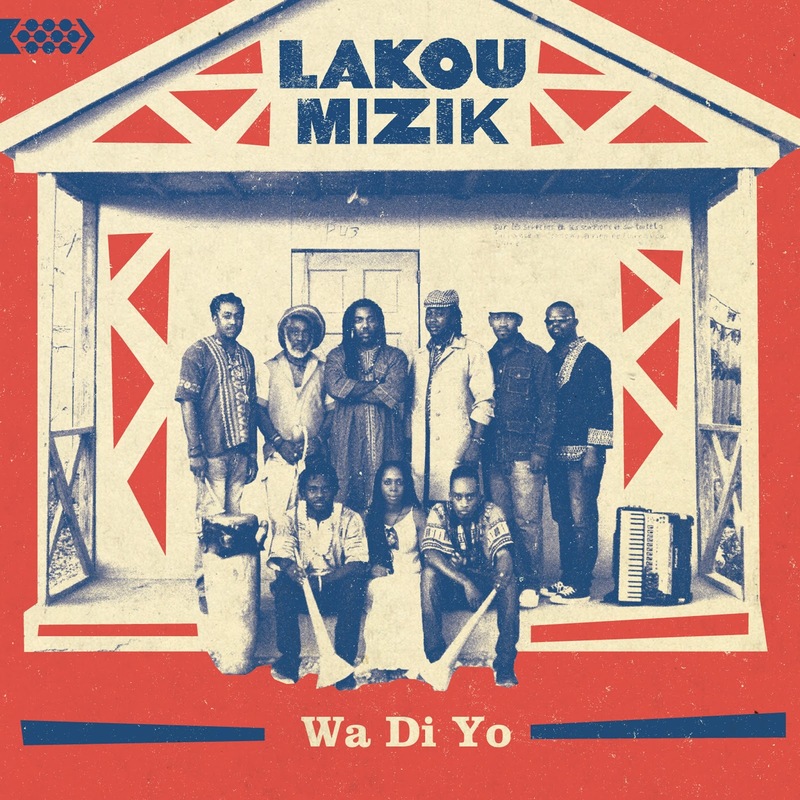 With this broad brush and members of all ages, it’s tempting and understandable to call Lakou Mizik a Haitian Buena Vista Social Club. By all means, start with the dynamic, dramatic track 6, one of the finest mizik rasin (“roots music” in Haitian creole) recordings I’ve heard, right up there with the best of Boukman Eksperyans and Boukan Ginen. 8 is a beautiful, soulful version of a Haitian standard. 4 is a singalong twoubadou (Haitian country music, from the same family tree as calypso, mento, son and bachata) taken at a spirited pace. And 10 goes beyond spirited – it’s a stomp that in other hands could be a punk rock anthem. This is a very promising start for an ambitious project that has the potential to open Haitian music to a whole new set of listeners.